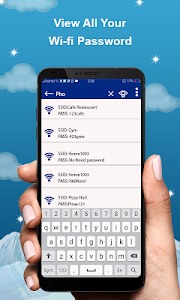 Wi-Fi Key Recovery is the app to recover the ever lost password of Wi-Fi networks that you have connected. 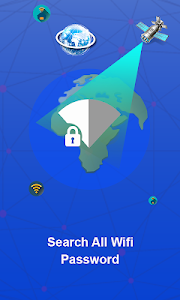 Wi-Fi Key Recovery will recover passwords of previously connected Wi-Fi networks on your android device. Wi-Fi Key Recovery recovers or restores your own passwords and view Wi-Fi passwords. It is quite often that we forget the password of the Wi-Fi network but don’t worries, Wi-Fi Key Recovery help to recovery all the passwords from your system database. Wi-Fi Key Recovery also useful to find out the strength of available Wi-Fi network around you, and show the graphical representation as well. This is a simple and free Wi-Fi password viewer. 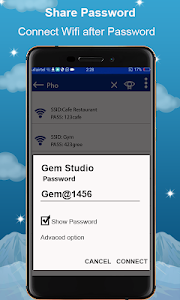 Wi-Fi password recovery, Wi-Fi password reader, Wi-Fi password show app. Wi-Fi password Recovery App that helps you to see passwords for Wi-Fi Networks You've Connected before. Wi-Fi key recovery shows the Wi-Fi Access points, channels around you & their frequency, SSID and Wi-Fi password. 	Cost Savings: Save data costs by connecting to free shared Wi-Fi hotspots. 	Safe and Secured: All shared password are not revealed. It is encrypted to protect sharer’s privacy and security. 	Encode your Wi-Fi password for another device scan and access the network. This Wi-Fi Key Recovery tool needs root permission. Wi-Fi Key Recovery is not a hacking tool. It does not assist in unlocking passwords of Wi-Fi hotspots that are not shared by the users. Hacking is illegal.